Spider-Man: Into the Spider-Verse features some pretty awesome cameos by some big names. It has already been revealed that Stan Lee has a cameo in the animated movie, but one third of the directing trio, Bob Perischetti, stated that they wanted his cameo to mean something to the rest of the movie. According to early reviews, the team knocked it out of the park and it’s a fitting tribute to Lee and his legacy. There are SPOILERS for Spider-Man: Into the Spider-Verse below, so read ahead at your own risk. While Stan Lee is probably the best cameo in Spider-Man: Into the Spider-Verse, there are a number of others that tease a whole other world of options for the future. Another version of Peter Parker is played by Wonder Woman‘s Chris Pine, while Mary Jane is played by Zoe Kravitz. Doc Ock is played by Kathryn Hahn, Vanessa Fisk is played by Lake Bell, Green Goblin is played by Jorma Taccone, and a character named the Brooklyn Bystander is portrayed by rapper Post Malone. In addition to those awesome cameos, there’s another version of Spider-Man that is introduced and comic book fans will already know who he is. The Last Jedi star Oscar Isaac is listed in the Spider-Man: Into the Spider-Verse credits as “Interesting Person #1,” but it has been revealed that he is playing Miguel O’Hara, aka Spider-Man 2099, which is a pretty big deal. O’Hara is one of the most popular alternate universe-versions of the character, but you’ll have to wait and see the movie to find out what kind of role he has in the story. 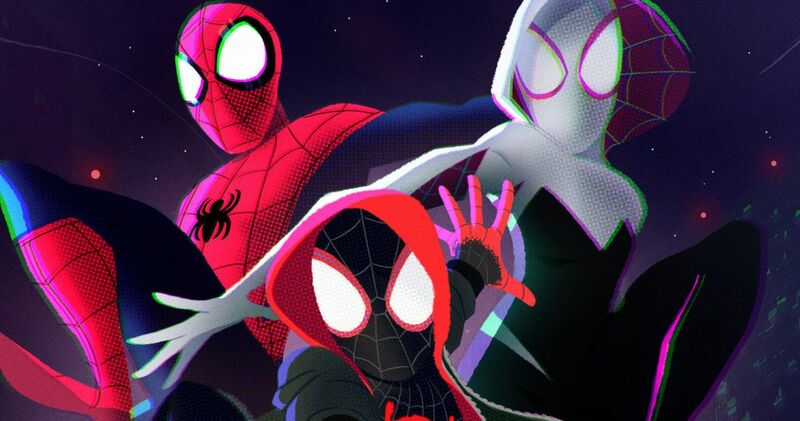 Spider-Man: Into the Spider-Verse co-director Phil Lord recently revealed that they wanted to make the movie as accurate as possible. So, he and the rest of the creative team dug deep into the internet to make sure that they got their facts straight when introducing the many characters that are in the movie. Lord had this to say about getting everything right in the project. Fortunately, it seems that Phil Lord and team pulled everything off. As of this writing, Spider-Man: Into the Spider-Verse has a 100% Fresh Rating on Rotten Tomatoes, based off of 49 reviews. We’re still two weeks away from the movie hitting theaters, but the early buzz is extremely positive and these new secret cameos will more than likely bring some more fans into the theater. Spider-Man: Into the Spider-Verse hits theaters on December 14th. The cameo information was provided by IGN.